Isolation. This word describes Perth well. 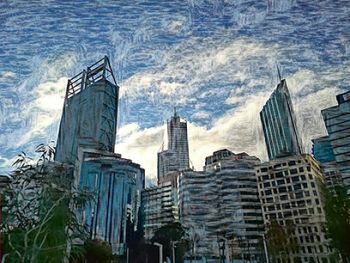 Hidden in its corner of the world, distant from the activities of the East Coast, Perth is a gem that many struggle to control. Its location and design, a merger of urban and rural, makes it ideal for hidden and sinister experiments to go unnoticed - making it key grounds for the Awakened. Its population of 2-million and year-round tourisim make it an ideal location for Changelings and Kindred to hide from their many troubles. With this mix of activities, Spirits often run rampant requiring the Forsaken to patrol the streets and surrounding countryside to maintain order and balance. But where are they? As there is only one venue, please refer to the Domain Staff section for the time being. Ensure name and number are displayed! This page was last modified on 29 January 2019, at 17:51.